Mount Carmel Associate Reformed Presbyterian Church in the community of Mount Carmel was a major factor in the development of this railroad town in the late nineteenth century. Though records of the community date as far back as 1836, the town was a small farming village until the addition of a post office in 1885. The following year saw the advent of the Savannah Valley Railroad in Mount Carmel as well as the arrival of Lodimont ARP Church from neighboring Abbeville District (now Abbeville County). 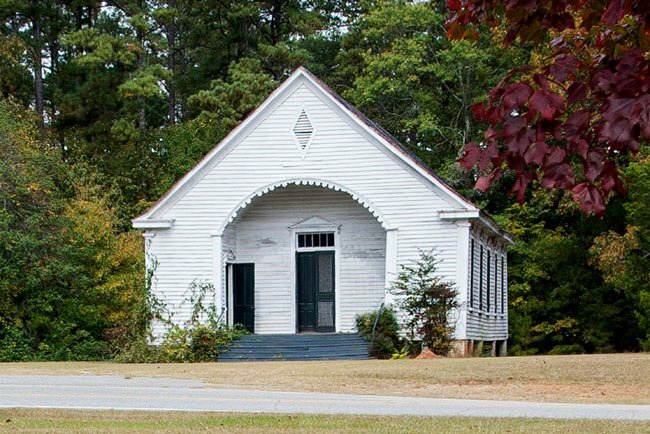 The post office, railroad company, and church established Mount Carmel as a vibrant community during the post-Reconstruction height of South Carolina’s railroad era. Lodimont ARP Church would eventually change its name to that of its new home and call itself Mount Carmel ARP Church. Lodimont ARP was formed in 1875 in the now-extinct village by the same name near Abbeville. 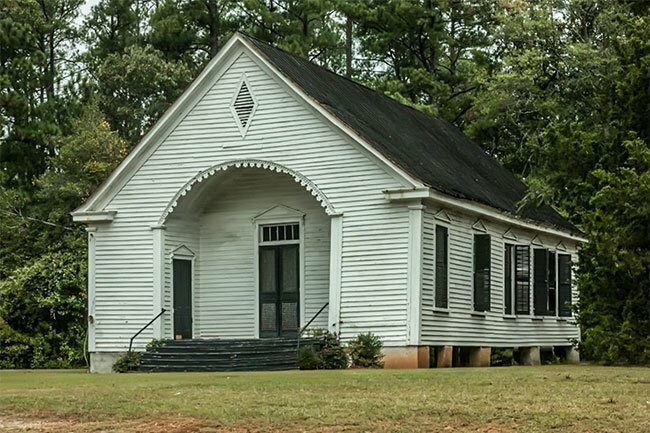 The Associate Reformed Presbyterian denomination began in South Carolina in Abbeville County in the 1780s and eventually migrated to nearby communities. 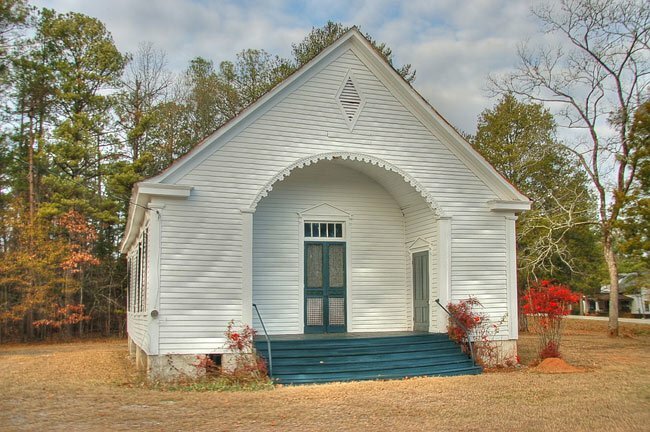 This beautiful frame church in McCormick County is not to be confused with a nearby church in Abbeville County of the same name (sometimes known as Abbeville-Mt. Carmel ARP Church to avoid confusion). Nor is it to be confused with Mt. Carmel Presbyterian Church (USA), also in the Mt. Carmel community. The former church is located in a different county, and the latter church serves a different denomination. Mount Carmel is a small town that developed in the 1880s, contemporary with the development of the Savannah Valley Railroad. The community was a flourishing village by the turn of the century. The district is located in the heart of the town and contains a high concentration of buildings constructed during the town’s period of prosperity, between 1885 and 1920. Included in the district are residential, commercial, institutional, religious, and industrial buildings, located in an irregular patter adjacent to the railroad tracks. The district maintains integrity as a turn-of-the-century community; of the fifty-one properties contained in the boundaries, forty contribute to the historic character of the district. The district includes a collection of buildings which represent a range of late nineteenth and early twentieth century vernacular architectural modes such as the single-pile central hall farmhouse, the meeting house form, and the bungalow. The few key buildings invoke some elements of high style, including Victorian, Queen Anne, and Classical features. Great Historical information. Thank you for recording it for future generations. The Savannah Valley Railroad Trail has been constucted from Willington to the McCormick State park and may be developed through this area into Abbeville County to the Calhoun Falls State Park.